Light duration, light intensity and the different parts of the light spectrum are the decisive factors for the growth and development of plants. 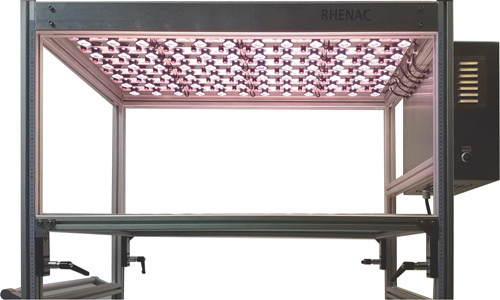 The LED lighting systems developed and produced by RHENAC regulate and control the light composition and intensity as well as the lighting duration according to the requirements of our customers in the field of plant research and production. Sustainable efficiency gains in plant production can be realized with LED plant growth lighting. In addition to germination, growth or flowering, the concentration of compounds that are important for the healing effect or the special taste of plants, is influenced by the light. Depending on the application, the spectral distribution, illuminance and structural dimensions of the lighting systems can be assembled according to the user’s requirements. 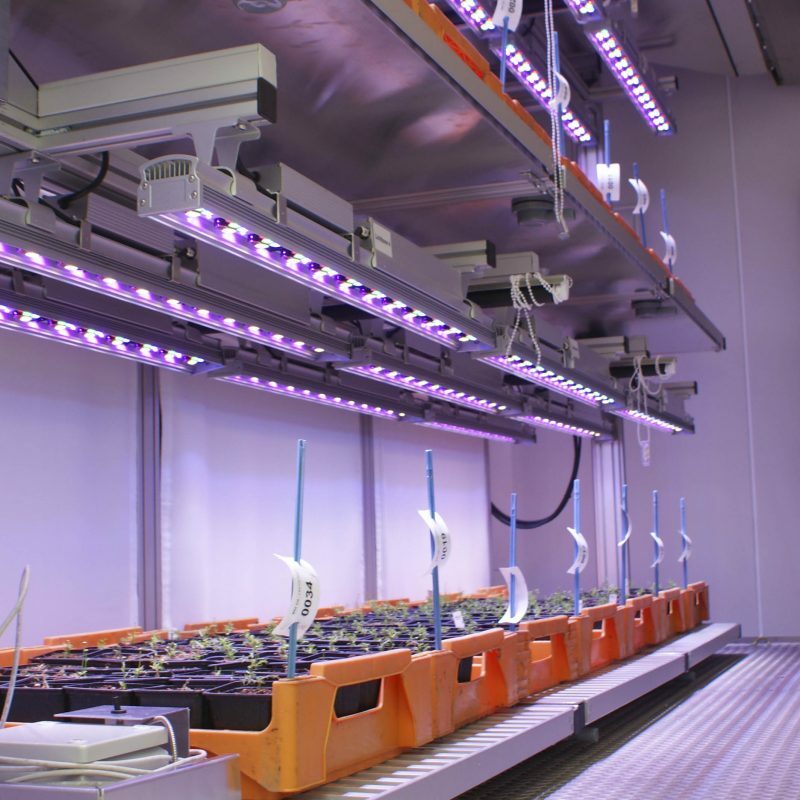 The LED plant lamps allow optimal results in multi-layer cultivation, tissue culture and also during storage. The modernization of greenhouses with LED plant light pays off several times. 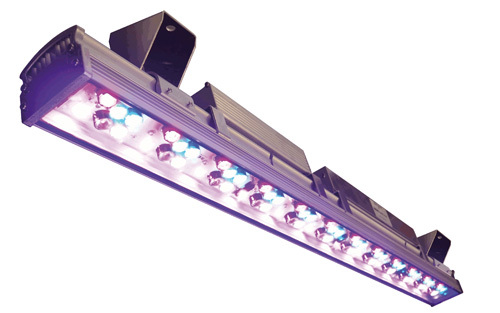 LED grow light significantly reduces the consumption of resources and therefore the costs. 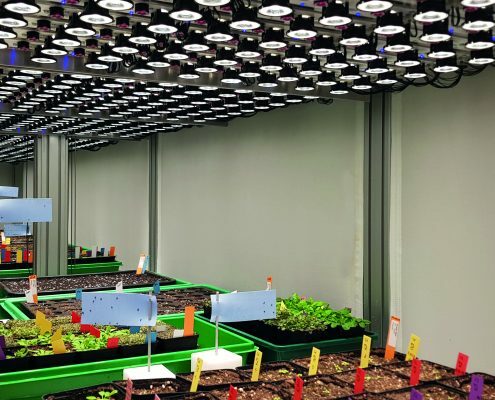 From a production engineering point of view, LED technology offers significantly improved conditions for plant breeding and the production of crops, as lighting conditions in the greenhouse can be precisely controlled. As a result, the growth of plants and the development of secondary metabolites are specifically influenced. 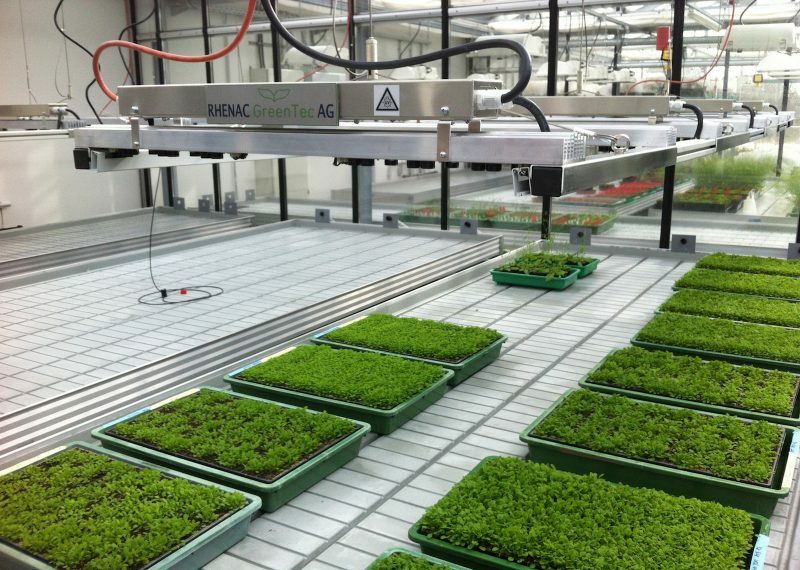 RHENAC GreenTec AG supplies research facilities in Germany and abroad. Our product range extends from simple LED lighting systems to fully equipped and fully automated climate chamber systems with climate and daylight simulations. The Phytotron chambers, equipped with high-performance LED lighting systems, e.g. at the Biozentrum of the Ludwig Maximilian University of Munich (LMU) and the Vienna Bio Center (VBC) in Vienna, enable reproducible lighting scenarios for physiological investigations. 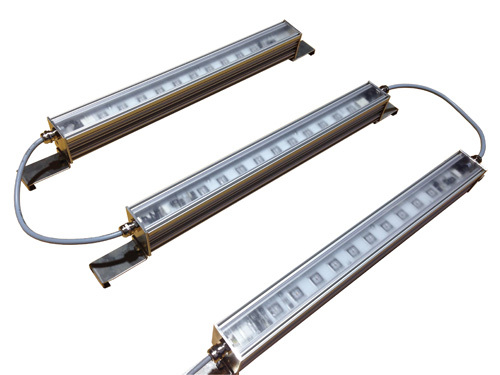 The availability of daylight-like and variable spectra with low heat radiation is the key advantage over conventional fluorescent tubes or metal halide lamps, which emit only a few lines of visible light but a significant amount of heat. Greenhouses as well as climate chambers, which used to be equipped with conventional lighting systems, can be converted to LED lighting systems. 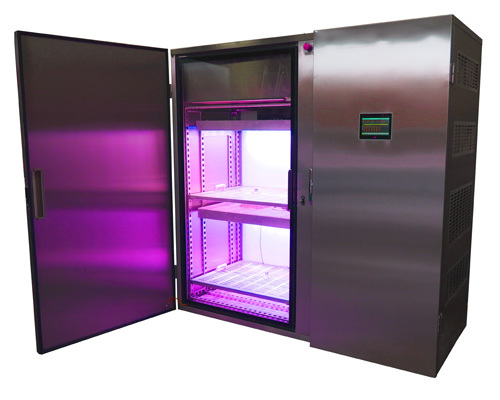 Modernized phytotrons thus provide the opportunity to accurately simulate natural environmental conditions in terms of light, temperature and humidity, and to study the growth and development of plants under these conditions. In the recent years LED lighting systems have been significantly improved in terms of luminous efficacy and brightness as well as efficiency and longevity. Compared to conventional bulbs, they are a cost effective alternative. By converting from conventional lighting systems to LED lighting systems, significant energy savings can be realized. Plant production companies and research institutions can save resources and improve their carbon footprint. This also has a positive effect on their operating result due to lower operating costs. RHENAC GreenTec AG realizes projects from planning to ready-to-use handover to the customer. We accompany our customers from the first consultation to the completion of the project. If necessary, we work together with strong partners across all industries. RHENAC GreenTec AG is the customer’s point of contact for LED lighting, electro mechanics and automation. Together with the customers, we first determine the individual needs and requirements. On this basis, a customized LED system with individual control and regulation solutions is developed and produced. The systems we develop are easy to assemble, very user friendly and low maintenance. 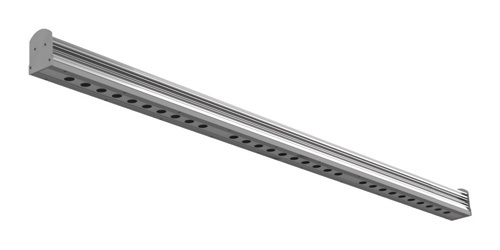 Our complementary construction kit enables the realization of individual system solutions. The modules can be used in a flexible way: individual components can be used in climate chambers, in a propagation room or completely stand-alone. The products are strictly reusable. In addition, each system can be expanded progressively and adapted to the state of the art. Because we work exclusively with premium manufacturers, we guarantee a consistent product quality.